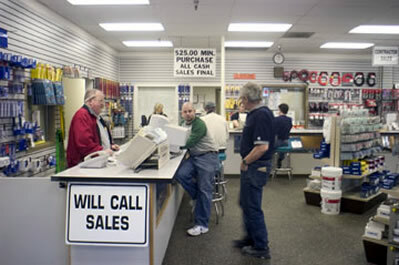 About Tacoma Electric Supply, Inc.
Tacoma Electric Supply was founded in Tacoma, Washington on May 1st, 1981. Tacoma Electric Supply has grown from three employees to its present day workforce of nearly 100 employees and is consistently listed in the top 200 largest distributors in the nation in Electrical Wholesaling Magazine. Tacoma Electric Supply operates 10 trucks daily throughout the Puget Sound Region. With a fleet of 24’ box trucks, 24’ flat beds, and our signature “Red Dot” delivery service trucks, we are sure to have what is right for your job. 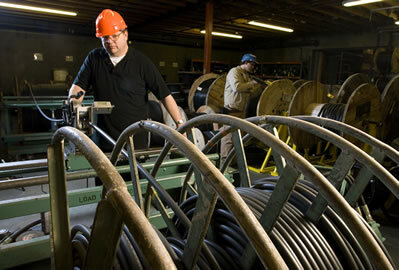 Tacoma Electric Supply recognizes the importance of order accuracy and 100% fill rates to our customers. We have invested in state-of-the-art RF scan guns that guarantee every order that is shipped out of our warehouse is 100% correct the first time. Our Inventory and Purchasing driven system is constantly updated to insure peak performance and continuous service to our customers. We believe in maintaining inventory levels that insure our customers can get their product “today” not “tomorrow”. Our Construction Department consists of highly trained, experienced salespeople who are knowledgeable in both gear and lighting. We maintain project sales groups who are skilled in both bid preparation and have the tools and knowledge to set up, maintain and make changes to your ordered materials to insure delivery of scheduled materials.